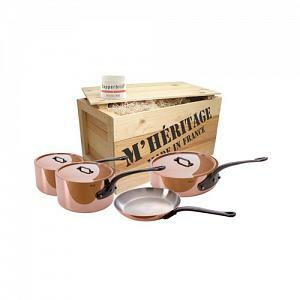 The Mauviel M'heritage M'250 cookware with straight edges is made of stainless steel lined, 2.5mm copper and features sturdy cast iron handles. 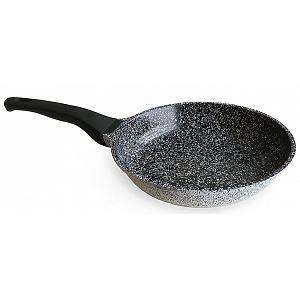 A saute pan (Rondeau) is a very versatile pan and a must have for every well equipped kitchen. The Mauviel saute pan features a convenient non-drip rim and comes with a lid. 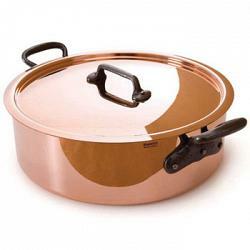 The saute pan has a capacity of 4.7 liter / 5.0 quart and a diameter of 28cm / 11.2 inches. These professional Mauviel cookware pieces are made in France with a lifetime warranty and are used by professional chefs around the world.